The complex legal situations arising from the coexistence of international law, state law, and social and religious norms in different parts of the world often include scenarios of conflict between them. These conflicting norms issued from different categories of ‘laws’ result in difficulties in describing, identifying and analysing human rights in plural environments. This volume studies how normative conflicts unfold when trapped in the aspirations of human rights and their local realizations. It reflects on how such tensions can be eased, while observing how and why they occur. The authors examine how obedience or resistance to the official law is generated through the interaction of a multiplicity of conflicting norms, interpretations and practices. Emphasis is placed on the actors involved in raising or decreasing the tension surrounding the conflict and the implications that the conflict carries, whether resolved or not, in conditions of asymmetric power movements. It is argued that legal responsiveness to state law depends on how people with different identities deal with it, narrate it and build expectations from it, bearing in mind that normative pluralism may also operate as an instrument towards the exclusion of certain communities from the public sphere. 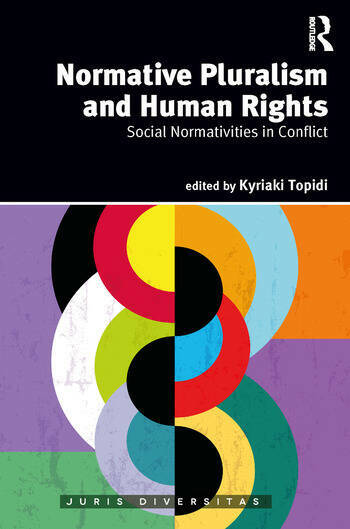 The chapters look particularly to expose the dialogue between parallel normative spheres in order for law to become more effective, while investigating the types of socio-legal variables that affect the functioning of law, leading to conflicts between rights, values and entire cultural frames. Kyriaki Topidi is Senior Lecturer and Associate Director of the Centre for Comparative Constitutional Law and Religion at the Faculty of Law of the University of Lucerne in Switzerland. She has undertaken extensive research in the areas of minority rights, human rights law, comparative constitutional law and law and religion issues. Her current research interests focus on religious diversity in public school systems. She is the author and editor of a number of volumes and articles that problematize the use of human rights in plural settings.